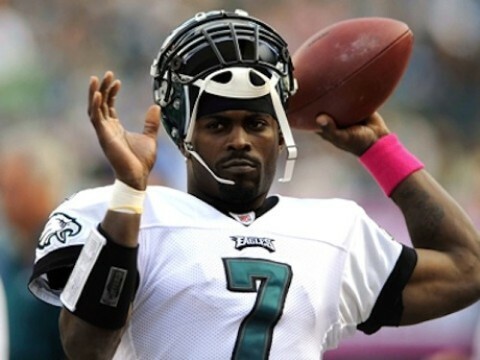 Can’t say we’re the least bit sorry to hear that Michael Vick is being bullied! He says he’s getting death threats and that’s why he cancelled his book tour. SOMEONE doesn’t like the fact that he wants to profit from his crime and punishment. The book was a bad idea because animal lovers still despise Vick, even though he claims to regret torturing and slaughtering dogs. Vick’s publicist says he won’t be intimidated and will continue to do his ”charitable work.” Hopefully, he’ll do the “charitable work” out of sight so we don’t have to look at him.